We offer different forms of coaching, whether it be physical conditioning or just technique we have options for you to choose from. One to one coaching sessions can be booked over the phone/email to suit your needs. We are flexible in our approach, catering to what your needs are. Feedback provided will focus on your preferred climbing discipline or on all-round performance. They will be tailored to your abilities, will target your weaknesses and your goals, while considering the time-constraints of your lifestyle. Climbing workshops are aimed at those of you who feel you could do with a few tips from an experienced climber. 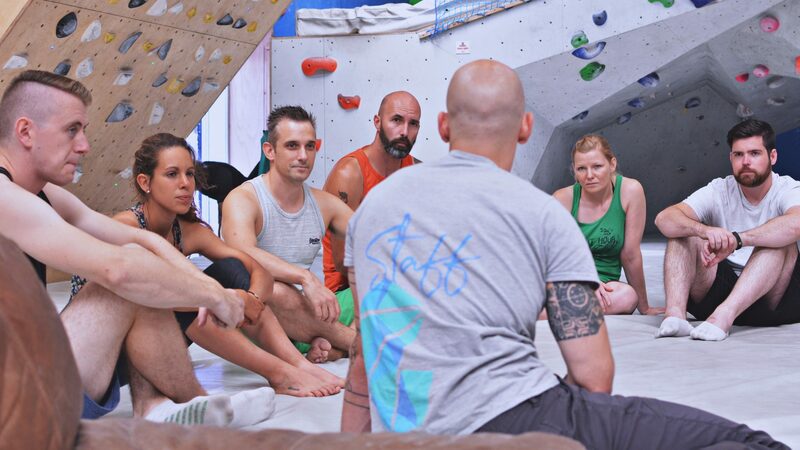 One of our instructors will be there to guide you in the right direction with technique and how to fine tune your climbing, making it more enjoyable. We are also running a series of workshops throughout the year, please look below in the schedule to find an available session. These workshops are weekly sessions providing you the chance of having continual progression and the opportunity to make new friends. Ladies Night is every week on Tuesday from 8:30pm till 9:30pm with our wonderful Aly. She will be leading an informal session, providing guidance and vital beta for all the ladies in the house. Giving you some fun games to improve technique and make this whole climbing thing a bit of a blast.